The persistent focus on China - which in recent weeks has either caused crude prices to rise and fall depending on whether the news is of the China/U.S. 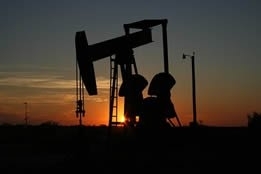 trade talks or its disappointing economic forecasts - caused traders on Tuesday to send U.S. oil prices upward by 3.2 percent, on the strength of that country stating it might take measures to stabilize its economy. West Texas Intermediate ended Tuesday's session up $1.60 to $52.11 per barrel, while Brent climbed by $1.39 to $60.38 per barrel. Although market observers by now are used to dramatic gains and losses that occur from day to day based largely on sentiment, Tuesday's performance was a notable turnaround compared to the previous session, in which crude fell more than 2 percent due to the release of data showing weakening Chinese imports and exports. Just as Monday's trading trajectory could arguably be described as an overreaction towards the negative, so too could the motivation on Tuesday be viewed as leaning overly towards the positive: the gains came as a result of China's National Development and Reform Commission support, signaling that it might introduce more fiscal stimulus by slashing taxes. Crude prices were also supported by recent data showing the number of U.S. rigs drilling for new oil dipped to 873 in early 2019. JBC Energy accurately summarized traders' mindset by remarking, "It would seem that the market is having a rather hard time making up its mind as to which story to believe in" - referring to the tendency to act upon any positive signals however vague stemming from China (including the trade talks) and the persistent fear of waning global economic growth. A new factor that may influence traders in the near term is the suggestion by media sources on Tuesday that U.S. president Donald Trump may let Iran export oil despite the sanctions against the Islamic republic - a notion based on Brian Hook, administration's special representative for Iran, refusing to say with certainty whether the White House will enforce sanctions more strictly on the country's oil exports, as well as refusing to say if import waivers granted last year will be extended. CNBC declared, "Hook's remarks suggest that the administration's decision will in part depend on the cost of crude when the six-month waivers expire around the start of May," and the news agency added that if the U.S. allows Iran to export oil, the prices will drop. Another development that may sway trading comes from the API, which reported that U.S. crude inventories fell by 560,000 barrels last week; this was augmented by Bloomberg on Tuesday forecasting that stockpiles "probably" declined by 2.5 million barrels (the lowest level since early November). As if signalling the tedium resulting from so many analysts reading too much into the flimsiest of developments, Ashley Petersen, lead oil market analyst at Stratas Advisors, remarked, "It was very doom and gloom in December but we had no official data to back that up. "Now the data that's coming back is not really that bad; it may be pointing toward a slowdown, but it doesn't look like a contraction, and those are two very different worlds." Major adds a new 40BN product to its Alexia range. Pointing to clear technology pathways to gain further emissions savings, SEA\LNG's Peter Keller.